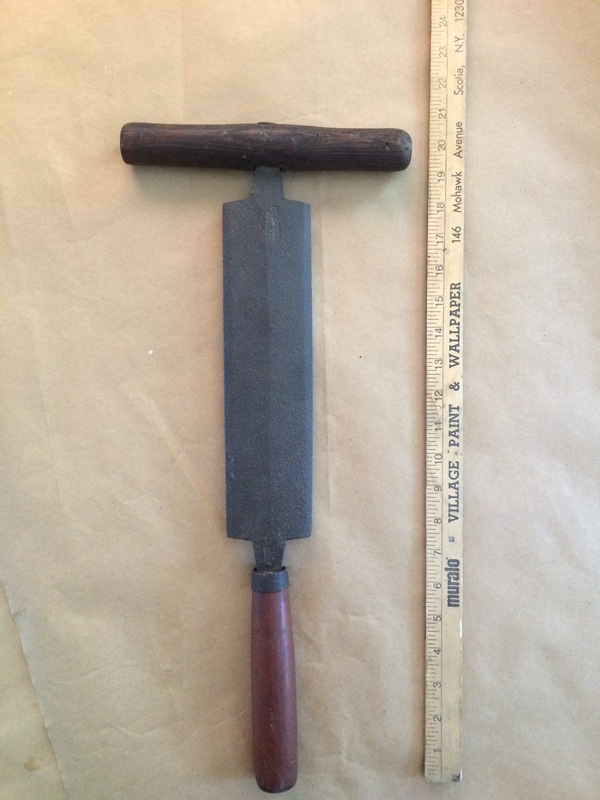 The tool is a currier’s knife and is used in the production of leather. 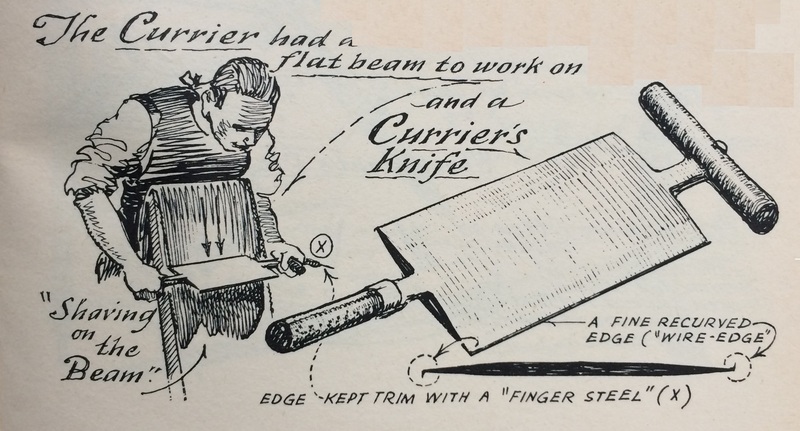 A currier’s work was to scrape and soften the rough hides after the tanner had treated them. The hide was stretched and then washed and scrubbed to soften it. Next the inner side of the skin was made more even by the use of the currying knife. The blade was set at a right angle so it could shave the leather like a wood plane. If the currier made a mistake, the hide could be ruined. The leather could also be split into different widths and thicknesses and then treated (one method used beef tallow and cod liver oil). After that it could be stained or dyed and turned into the finished product.